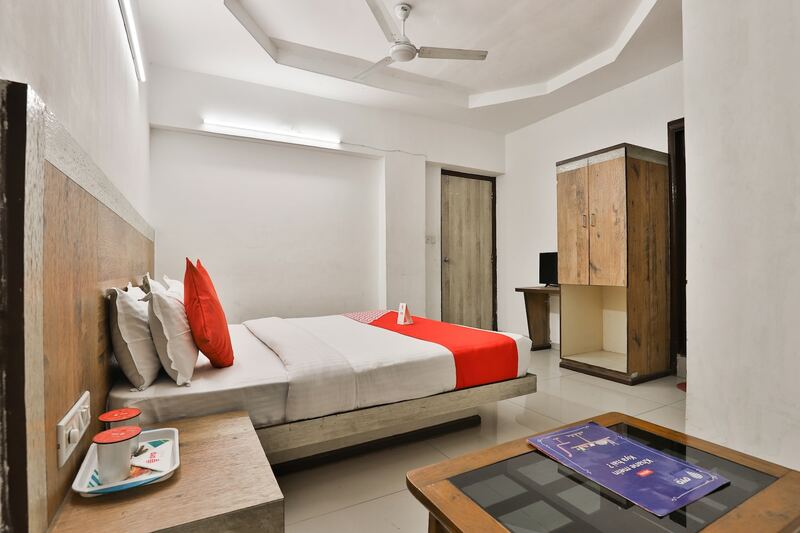 With vivacious and bright interiors, Hotel Swagatam guarantees you an amazing stay in Ahmedabad. The beautiful reception gives you a spiritual and warm welcome which is indicative of a peaceful and comfortable stay. Possessing bright cushions, multi coloured curtains, and attractive woodwork on the walls, the rooms at this hotel are filled with exuberance. Well-equipped with all essential amenities including a geyser in the bathrooms for chilly weather, these rooms are very spacious and well-lit. The hotel is equipped with many other facilities such as free Wi-Fi and CCTV cameras. There are plenty of restaurants nearby this hotel so that hunger can never spoil your trip to Ahmedabad.